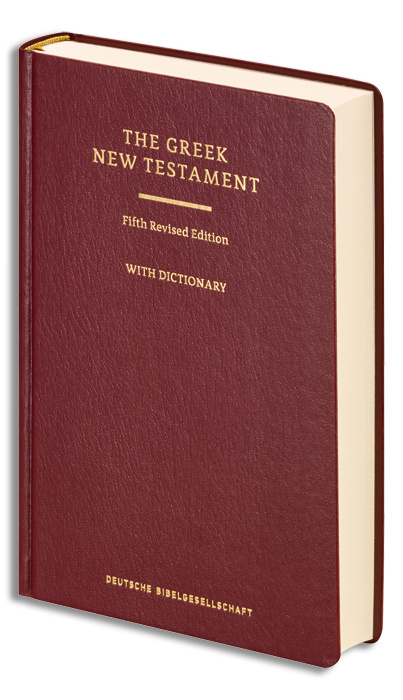 5th, Revised Edition with the Greek-English Dictionary by Barclay M. Newman, red hardcover. Following intensive preparatory work, the Fifth Edition of the UBS Greek New Testament ("UBS 5") has now been published. 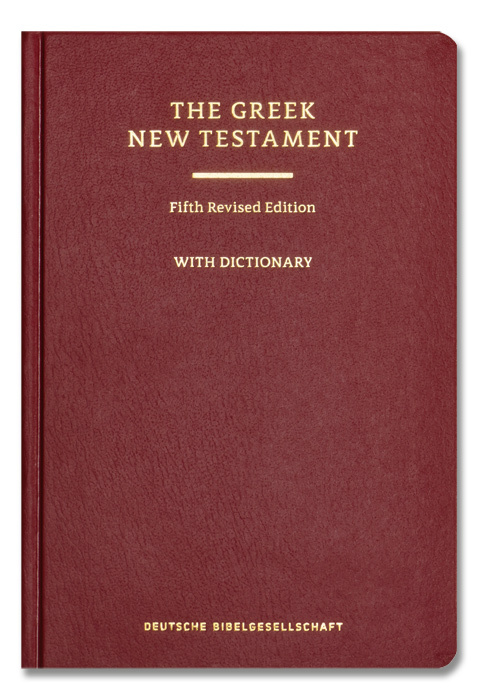 The most widely used edition of the Greek New Testament worldwide is thus now available in a fundamentally revised, improved edition. The readings of the newly discovered Papyri 117 - 127 have been incorporated into this edition, thereby opening up interesting perspectives particularly for the Acts of Apostles. Besides, it is now displayed in the apparatus, where selected modern Bible translations (English, German, French, Spanish) are based on a variant reading rather than the principle version of the text. A special focus of the revision was on the Catholic Epistles, in which the edition has been made consistent with the Second Edition of the "Editio Critica Maior" and the 28th Edition of the Nestle-Aland Novum Testamentum Graece. This led to more than thirty modifications in the reading text and resulted in a new selection of witnesses for the textual apparatus, in addition to modifications of the selection of apparatus units. Finally, the Discourse Segmentation Apparatus has undergone thorough revision. The edition was typeset with a new, aestetically appealing and readily legible Greek font (see "More Information" below the product description. The INTF is a university institute in Münster (Germany). Its general task is research on the textual history of the Greek New Testament and the reconstruction of its initial text. Apart from Novum Testamentum Graece ("Nestle-Aland") the INTF also publishes the UBS Greek New Testament and the Editio Critica Maior for the German Bible Society. Customer evaluation for "The Greek New Testament"